Consulting & Installation - PRO Temp Inc.
Our installation crew is made up of industry veterans who have years of installations under their belts. Their knowledge of the equipment and the professionalism with which they conduct business are a matter of pride for ProTemp. We always make sure to leave a job cleaner than it was when we arrived, and want our clients to be completely satisfied when we’re done. 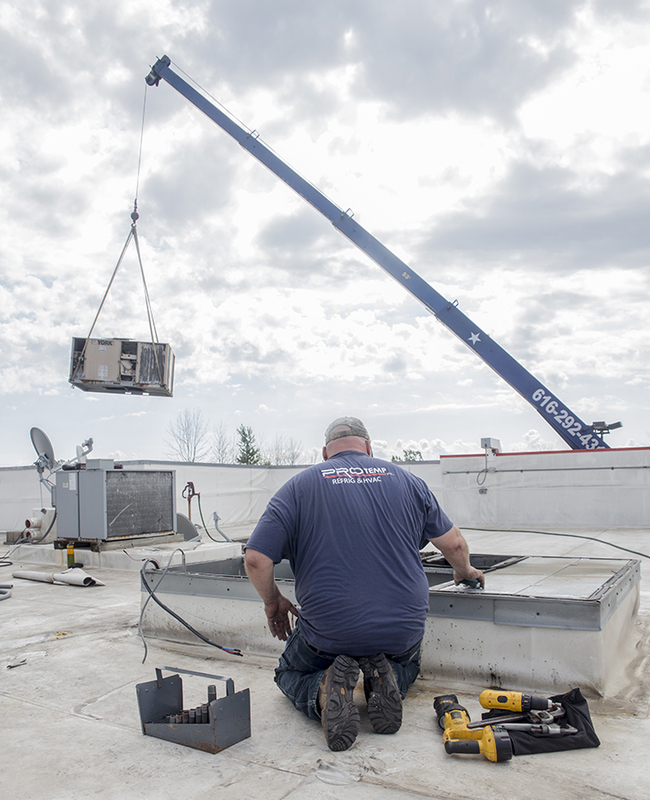 We’re not afraid to squeeze into tight places or climb up on dangerous-looking roofs, and we have good relationships with all the cranes in town in case your job requires one. Contact us today to schedule one of our techs to come out for a free consultation.